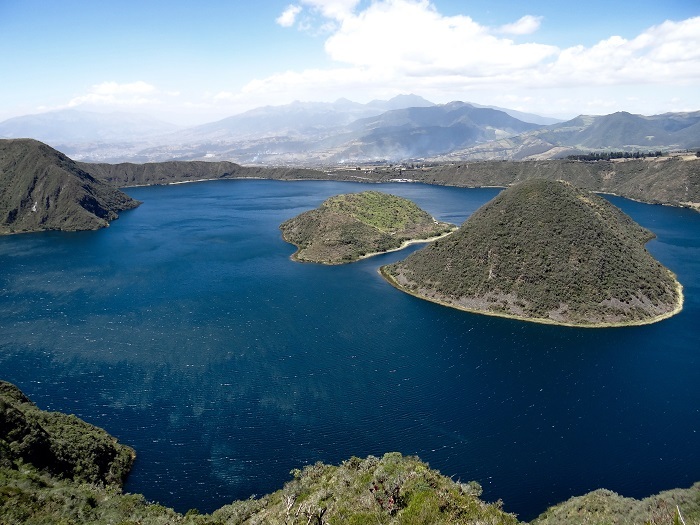 Cuicocha is a wide caldera that contains a large crater lake which is located at the foot of the Cotacachi Volcano in the Imbabura Province of the Republic of Ecuador. 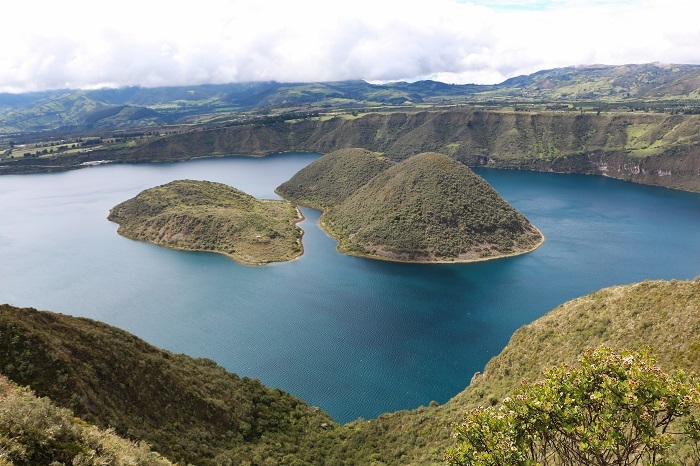 Standing at an elevation of about 3,246 meters (10,650 feet) above the sea, this 3 km (2 mi) wide caldera gets its name from the Kichwa indigenous language which means the Guinea Pig Lake. 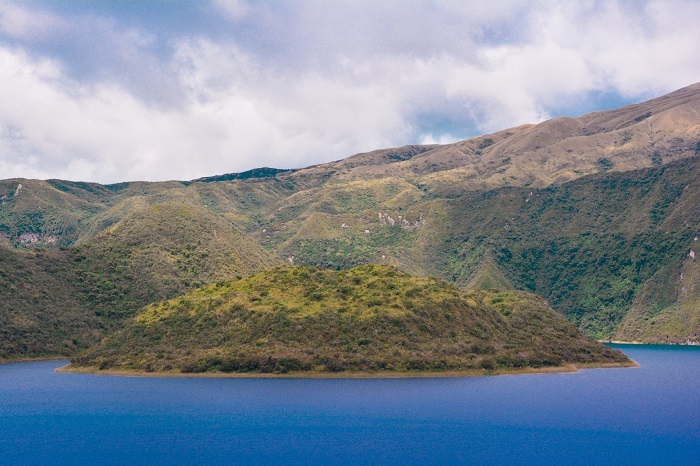 The locals kind of saw a guinea pig shape in one of the islands that can be found at the center of the lake, and as the animal plays huge role in the everyday life of the locals providing them with the necessary protein, it certainly deserves something to be named after them. The last eruption is considered to occurred around 650, gashing pyroclastic flow that covered the entire area in volcanic ash which is considered to have been up to 20 cm (8 inch) deep. 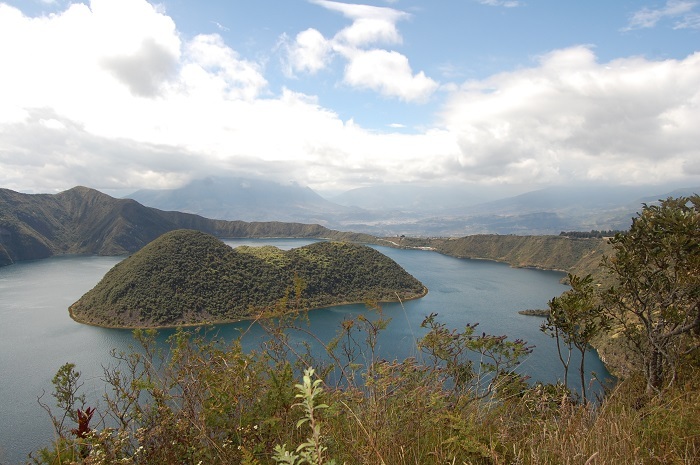 Ever since, Cotacachi Volcano has been dormant with hope that it will stay like that. 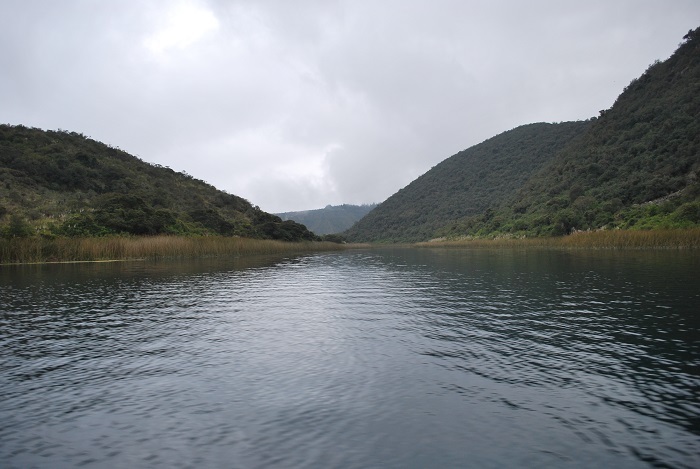 Nevertheless, the lake itself contains two islets which are home to hundreds of small species of wildlife, but the entire area includes the native guinea pigs, as well as armadillos, foxes, Andean Condor and rabbits. Since both of the islets, the smaller islet Yerovi, and the bigger one Teodoro Wolf, are quite important, it is forbidden for people to visit them. 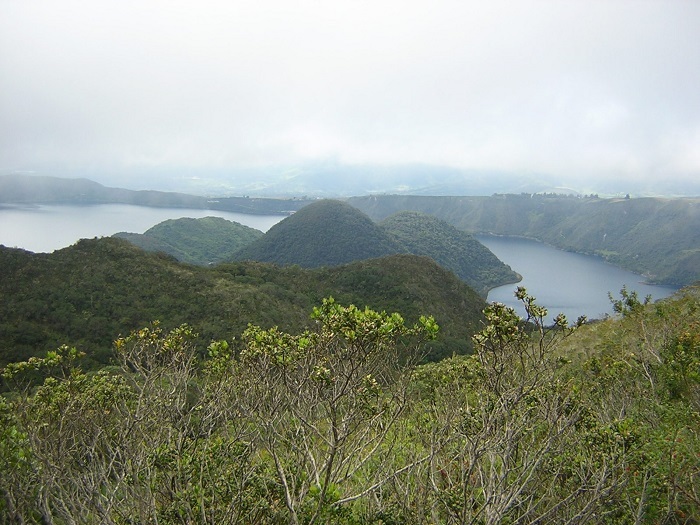 That is why everyone is simply enjoying in the view of the surrounding from the extremely steep caldera, even though there are boat rides available for people to get as close as possible to the islets. 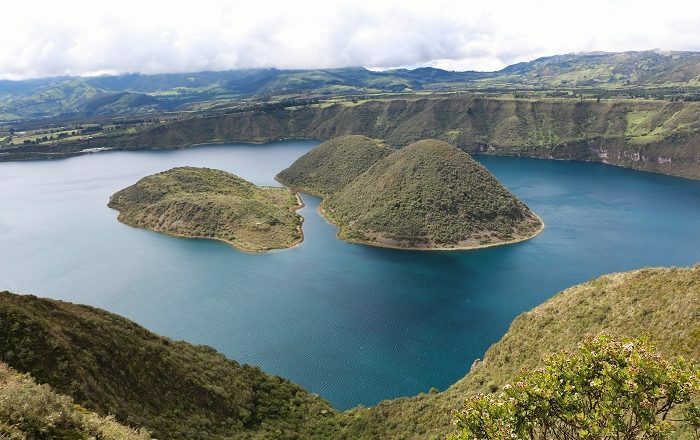 The still blue waters and vivid flora is a definite attention grabber which is becoming more popular and it definitely should be on the guide books and videos of Ecuador. 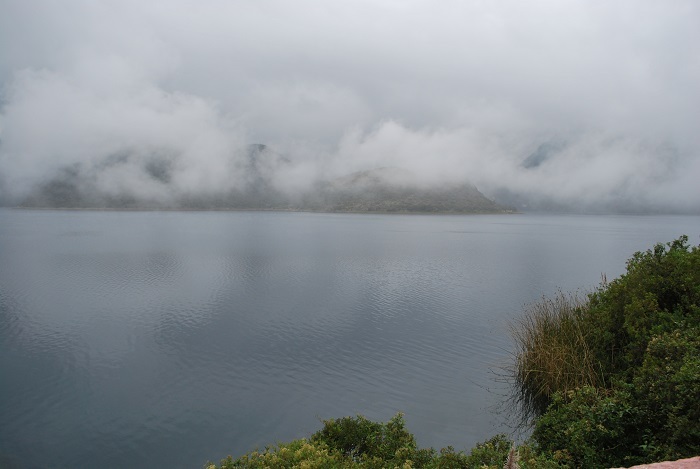 Lake Cuicocha is a popular place for hiking, as there is a hiking trail which is 14 km (9 mi) long that encircles the entire lake. 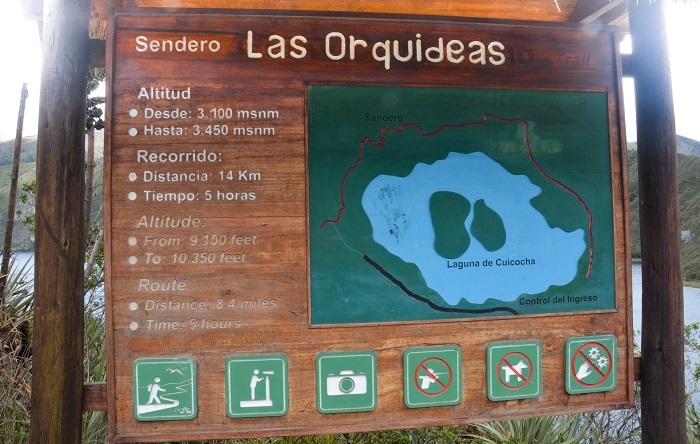 The entire hike could take up to 5 hours in order to be completed, however, it is considered a the best acclimatization hike if one is thinking of climbing some of Ecuador’s higher volcanoes. 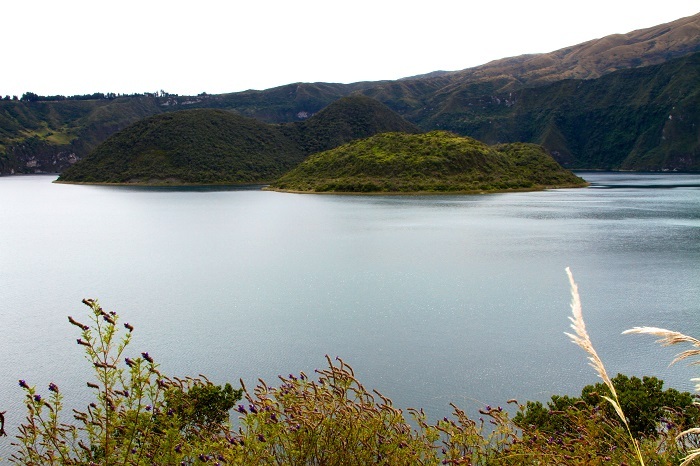 Perfect for daily excursions, this is a very unique experience and something which will remain in the memory of everyone visiting Lake Cuicocha.